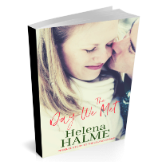 Get your free, exclusive, copy of The Day We Met, the prequel to The Island Affair, a Nordic family drama. You'll also be added to my email list and will receive emails with book offers, news from my writing life and other freebies! I will never, ever spam you and you can unsubscribe at any time.